Digital Passport is a web resource for students from Grade Three to Five to learn technology skills and and learn digital citizenship. 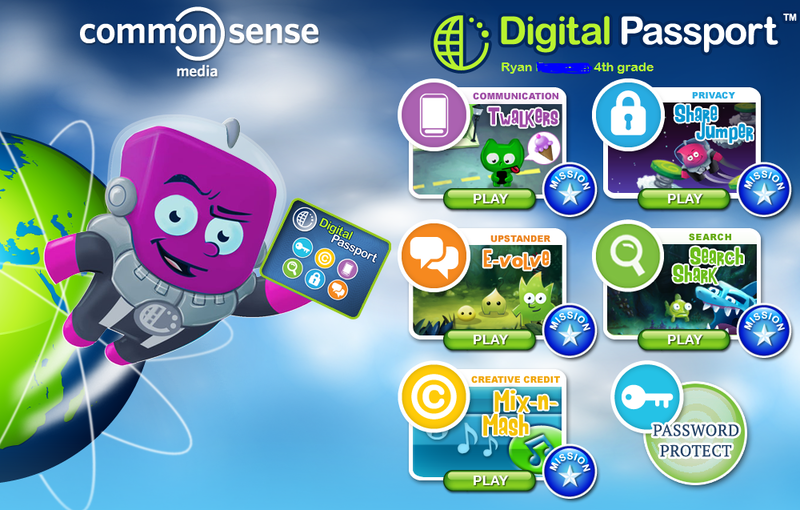 The site includes six areas in digital citizenship with videos, lessons plans, assessment tools and fun, kid-friendly activities. The topics include password management, protecting privacy, preventing cyber-bullying, safe searches on the internet and respecting the creativity and work of others. It is also free(!) and is easily incorporated in schools that follow the ISTE NETS-S standards and supports the comprehensive Digital Citizenship curriculum offered by the Common Sense Media. How did you use DP in the classroom? I started each class by gathering students on the carpet to review one idea or concept i.e. creating strong passwords. I also played a short introductory video clip followed by a brief discussion to address any questions or concerns. The video clips were great because they featured kids about the same age or a little bit older. After the instructions were clear, students then completed a related game on the computer. 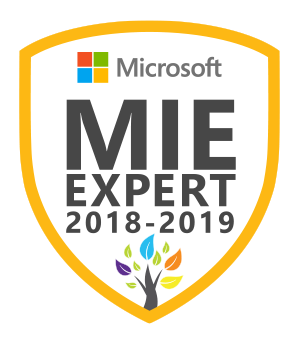 In the Educator Materials section of the DP site, there were additional multimedia resources helpful to both our discussions and activities. 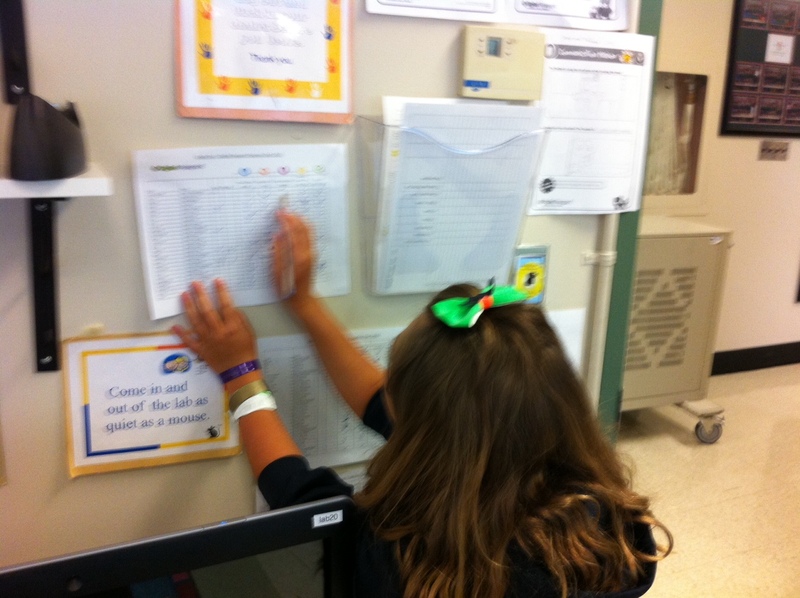 As students completed activities, they earned badges and gave themselves a checkmark on wall chart. This badges and checklist were great motivators and they not only loved checked off activities completed in class but were also eager to share when they earned badges at home. The site allows you to create classes and provide each student access with a username and password. The advantage of creating individual accounts at this site is that you can collect and save data on their progress. You can access this information individually or as a whole group to get an overall idea of the class’s mastery and understanding of specific topics. For example, I discovered that students scored the lowest on their keyword and search skills which gave me a chance to address this through follow-up activities and discussions. I often used the individual results to reward high scores with stars on the wall chart or encourage the students to revisit areas and activities with a lower score. However, in the end, I decided not to use their score in the game as part of my mark breakdown (i.e on a report). I treated their progress like a pre-test (i.e. assessment AS learning) and followed up the unit with a “clicker” quiz as my assessment OF learning strategy. Ultimately, the most rewarding discussions (and assessment) occurred when I circulated the class as students completed assessments. Giving out certificates was fun too! After completing the unit with the Grade Three and Four students, I would definitely want to use this resource again as it prompted many excellent discussions and teachable moments. We often have the perception that this generation of students are really tech savvy and technology comes very natural to them. However, I believe that is mostly true about their own technology and interests. This resource was useful in our digital citizenship activities because it challenged their thoughts, ideas and experiences with realistic “what- if” scernarios. In class, I enjoyed many teachable moments where I could offer advice reinforced by the videos and activities to help them make excellent choices when online. Overall, Digital Passport is a useful resource for teaching and exploring digital citizenship questions with Grade 3 and 4. However, completing the games is not guarantee of mastery. Activities from the “expert zone” (another area of site), other resources like Brain Pop, media smarts, Netkidz and Cybercafe provide and much discussion, questioning and modelling are an excellent approach to covering this topic comprehensively. More activities would be great. Topics that might benefit from expansion might be media awareness (i.e protecting against advertisers), creating a good balance on-line and off-activities, and effective communication (i.e when best to text, email F2F etc.). Also a version for Grade 6 to 8 with particular emphasis on mobile devices and the benefiits and risks of social media would be helpful. I understand that an iOS version is also on the way which is great too. How do I help teachers promote digital citizenship across different areas of the curriculum? What is the best way to support parents to find technology safely and effectively at home? Traditionally as teachers, before we start a new topic or theme with our students, we collect a variety of educational resources (activities, worksheets, games, posters, models, songs etc.) to share in lessons or provide as resources in the classroom. Using technology, we can also provide multimedia and other interactive materials like graphics, slideshows, videos, files, websites, social media accounts, hashtags etc. to enhance learning in our classroom and perhaps beyond. It would seem then that collecting a variety of traditional and digital materials would be an effective strategy to differentiate learning for students and appeal to our classes full of “screenagers” but not quite teenagers. One online tool that I found useful for collecting and sharing digital materials is a web-based application called symbaloo. This app allows you to create a webpage of links (as symbols) to sites on specific theme or topic. (I find that the more specific, the better; (Grade 2 Time rather than Math.) Your symbaloo can be shared to students (or parents) as a link through email, LMS (Moodle, Blackboard etc.) or Twitter etc. Your symbaloo page might be filled with links to websites but could also include links to graphics (from Google images), videos (from YouTube), even files (I used a link to a file in Google Drive) or any material with a specific URL.